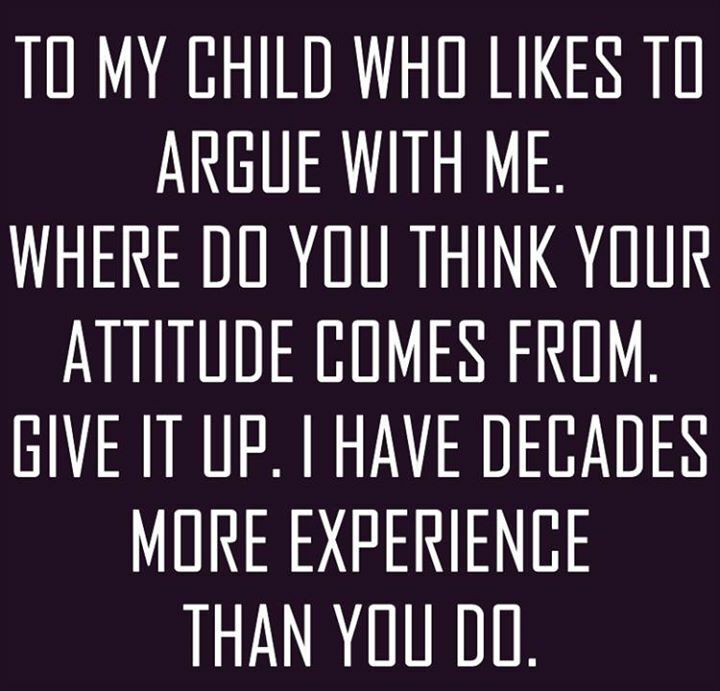 TO MY CHILD WHO LIKES TO ARGUE WITH ME. WHERE DO YOU THINK Y - ProudMummy.com the Web's Community for Mums. TO MY CHILD WHO LIKES TO ARGUE WITH ME. WHERE DO YOU THINK YOUR ATTITUDE COMES FROM. GIVE IT UP. I HAVE DECADES MORE EXPERIENCE THAN YOU DO. This is so my eldest daughter atm ! Give me strength ! Faye Rogers so Evie too ! Shannon Nicholls Lewis Nicholls take note!!! !